The Trump administration is currently weighing whether to once again extend Liberia's deportation protections, under a program known as Deferred Enforced Departure (DED), for approximately 34,000 Liberians living in the United States. Liberians have enjoyed "temporary" protection from deportation ever since a 1991 civil war, and their protections have been extended ever since by five different presidents — George H.W. Bush, Bill Clinton, George W. Bush, Barack Obama, and Donald Trump. Most recently, last year President Trump announced a final 12-month extension of protections to allow Liberians time to prepare to leave the United States. Now, however, his administration is reportedly weighing yet another extension. In order to understand how a supposedly temporary program ended up lasting three decades, one must look at the program's history. In 1991, President George H.W. Bush announced that approximately 10,000 Liberians would be granted TPS status after a civil war broke out in Liberia and Bush said it would be unsafe for Liberians to return home. TPS ensured that these nationals would not be removable, and it also granted them employment and travel authorization as well as eligibility for welfare. In 1997, the conflict ended after rebel groups toppled the government. However, when Liberians' TPS expired in 1999, the Clinton administration granted DED to continue deportation protections. He said that, "Although the civil war in Liberia ended in 1996 and conditions have improved such that a further extension of Temporary Protected Status is no longer warranted, the political and economic situation continues to be fragile." A second civil war broke out that same year when a new rebel group backed by Guinea emerged, and shelled Monrovia, the capital city. As such, in 2002 President George W. Bush decided to re-designate Liberia under TPS, citing "the ongoing armed conflict" which made return unsafe, and those protections were continually re-extended under Bush until Obama became president in 2009. In those extensions, Bush noted that TPS was no longer warranted since the second civil war ended in 2003, but again cited the weak "political and economic conditions" of the country and said that the country needed more time to re-integrate refugees returning home, echoing Clinton's concerns. Obama continued to extend DED for Liberians for the same reasons through 2014, at which point the country was again granted TPS, this time due not to political conditions but rather due to "the outbreak of Ebola virus disease in West Africa". Obama also announced TPS for Guinea and Sierra Leone. When TPS was set to expire and the outbreak had been contained, Obama extended protections through the end of his administration, citing "compelling foreign policy reasons". President Trump weighed allowing the program to end, but in March 2018 he ultimately decided to extend DED for one more year. Trump said that the U.S. relationship with Liberia would "warrant affording an orderly transition period" in order to allow Liberians time to "make necessary arrangements and depart the United States." Now that that year is up, activists are once again banging the drums calling for the administration to capitulate and grant yet another extension. As USA Today notes, the administration is "facing mounting pressure from lawmakers, human rights activists, and civil rights lawyers" to yet again extend protections. The reality, however, is that it has been 16 years since the civil wars ended and — as multiple presidents acknowledged in their memorandums — conditions in the country have since improved drastically. In his extension, President Bush said that even after the wars, Liberia still needed time to re-integrate returning refugees. However, the last wave of returning refugees came in 2012, meaning it has been seven years since even the most recent refugees returned (and 16 since the majority returned). It is reasonable to ask how many years should we expect it to take for a country to reintegrate its citizens. Over 700,000 refugees were initially displaced, and more than 80 percent have returned home. Further, while Liberia's economic situation does indeed remain poor, the country has seen steady economic growth. It's five-year compound annual GDP growth rate is 2.1 percent, and last year its GDP rose 2.5 percent. The unemployment rate has fallen to just 2.4 percent. In fact, as my colleague Dan Cadman noted, the influx of Liberians who have gained skills and education in the United States over the past 28 years could provide an economic boon to the country. As for "compelling foreign policy interests", it is unclear what the former presidents are referring to as they fail to specify what interests are at stake. The U.S. relationship with Liberia has centered around the large amount of aid sent their way — according to USAID, we sent $212 million to the country in assistance last year, and have given well over $1 billion in aid over the last three years. If even the large amount of aid has been insufficient to make Liberia's economy strong enough to absorb refugees, it's unclear what will. 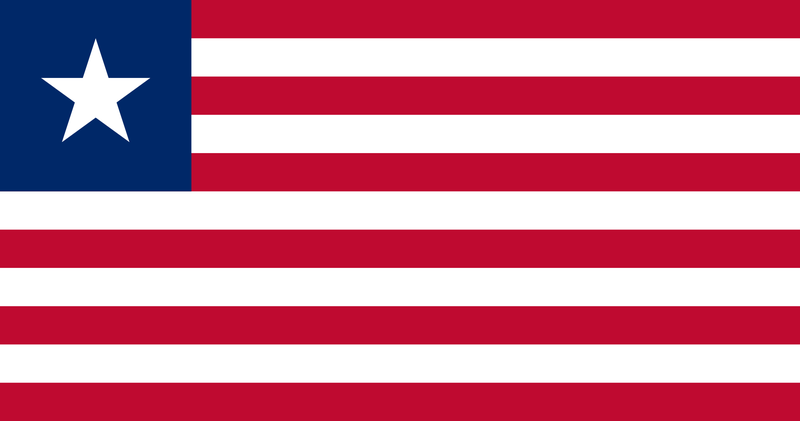 In fact, despite the aid received from the United States and the protection we've granted its citizens, Liberia has maintained close ties with communist countries generally unfavorable to the United States, such as Cuba and China. Last year, President Trump said that he was only extending DED protections to Liberians for one year to allow for them to make arrangements to leave. Now that the year is up, Liberians should have already made such arrangements. The program has been kept alive for nearly three decades due to increasingly unpersuasive reasons. The civil war is over, the Ebola crisis is over, and it has been years since most refugees returned from neighboring countries. It is high time to terminate these protections once and for all, and re-assert American sovereignty.